Johnny Depp has taken on an array of oddball roles throughout his career, but the Hollywood actor may have just delivered his strangest performance yet. 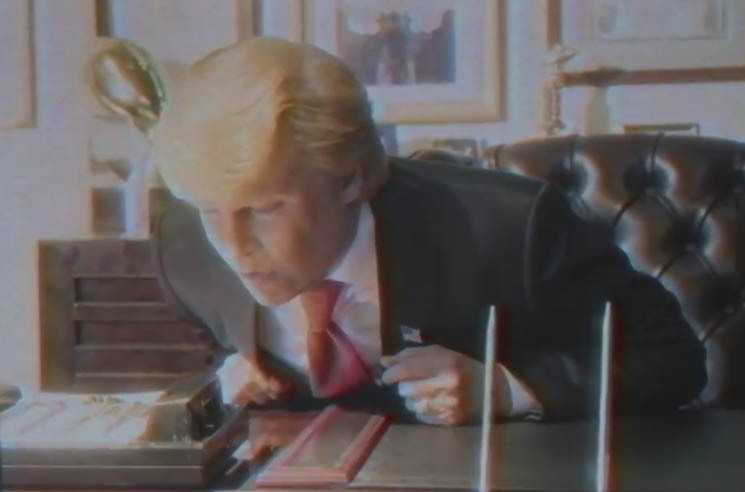 In a new 50-minute film for Funny or Die, Depp stars as none other than Donald Trump. The film is presented as a newly unearthed 1988 TV movie based on Trump's autobiography. We get an intro from Ron Howard before he pops a VHS copy of Donald Trump's The Art Of The Deal: The Movie in and lets it roll. Pulling off a pretty remarkable Trump impression, Depp takes the viewer on a journey through the mogul-turned-politician's early life. The ridiculous movie spoof also features performances from Alfred Molina, Patton Oswalt, Henry Winkler, Stephen Merchant, Christopher Lloyd, Kristen Schall, Andy Richter and more. Watch the nearly hour-long epic in the player below.